6. 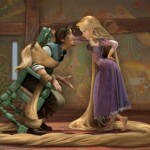 Tangled – I love the classic Disney animated musicals. They are some of my favorite films. While I did enjoy The Princess and the Frog, it was not quite the return to great animated films that Disney was hoping for. Tangled was a film I had absolutely no desire to see. I thought the trailers looked awful. Then, I started to read online that the film was actually very good. I went into the theaters with a little more hope. While the first fifteen minutes or so reminded me too much of The Hunchback of Notre Dame, overall I thought the film hit the mark that Disney was hoping for. Now when Disney finally gets it right they announce they aren’t going to do fairy tale princess films anymore. We will see about that. 5. 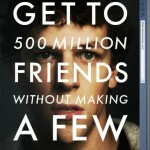 The Social Network – The rest of my top five were very difficult to order. I loved this film. I loved the music. I love the fast paced dialogue. I love the performances. I predict that it will win the Academy Award for Best Picture, but it was not my favorite film. The rest on my list I certainly had much more fun watching. The whole thing left me wondering what actually happened. Not that it matters because Zuckerberg is a billionaire, and he created a system that was a game changer. Yeah, people can argue that it was just friendster or myspace, but then how come the creators of those sites don’t have a movie about them. 4. The Fighter – I actually saw this film again this morning, and it was just as good the second time. Wahlberg spent years standing behind this film when no one else did, but he finally got it made. Christian Bale gives an unbelievable performance that I believe will lead to his first Oscar. Amy Adams never disappoints (aside from Leap Year). She and Melissa Leo both create fantastic characters that are sure to get Oscar nominations. The movie was much funnier than I had expected due to Micky Ward’s crazy sisters and over the top mother. It may be a predictable boxing movie with plenty of cliches, but that doesn’t mean it isn’t great. 3. 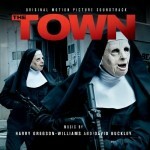 The Town – I had high expectations for this film. I thought Ben Affleck’s first film, Gone Baby Gone, did not receive nearly the amount of recognition that it deserved. The cast was top notch, and I love a good bank robbery. I was not disappointed in the least. Do I ever want to live in Charlestown or hang out with the guys in the film? No f***** way. But I loved watching them on screen. Particularly, Jeremy Renner who has just become one of my new favorite actors. And I didn’t know that Blake Lively had it in her. I have seen one episode of Gossip Girl and will just say that her acting abilities do not impress in that. 2. 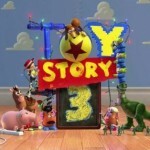 Toy Story 3 – Toy Story was a classic film that launched Pixar’s career. Toy Story 2 defeat the odds and was actually better than the first one. Was there any way that Pixar could make another great film off of this franchise? Well they found a way because Toy Story 3 is my favorite in the trilogy. I loved the prison break storyline, but the most fun is just seeing these characters again. I would have said after the second one that Pixar should quit while they are ahead, and I will say the same thing now. But it wouldn’t suprise me if they made a fourth film better than all three. It appears that won’t be happening though. Instead Pixar will be making short films featuring the characters. Read all about the first one in store for us here. 1. 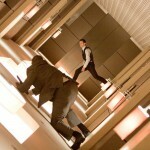 Inception – If you had asked me a year ago what my favorite film of 2010 was going to be then I would have told you Inception. I think Christopher Nolan is a genius. I have been a huge fan of everything he has done. I would probably trust him to direct Yogi Bear if he wanted to. If you actually pay attention, the script is nowhere near as complicated as people make it out to be. Which is one of the reasons I love it. He took an idea that could have easily gottlost and jumbled, and he made it coherent. The film is visually stunning. The whole cast is great. This only solidifies to everyone that he is a top notch director, and it leaves The Dark Knight Rises as perhaps the most anticipated film ever. What was your favorite film of 2010? Let us know in the comments below.